Join us for a gathering with conversations around the fire at the About and For Sustainability homestead in San Clemente. This is a free event where Lucian Toma will share and engage the community in conversations about the trends in the need and demand for regenerative, sustainability, permaculture and zero waste services in Southern California and beyond, as well as about strategies to respond to this growing demand. Demeter Bread & Pastry is offering a 10% discount for her Community Supported Bakery to all event participants. RSVP for discount code. 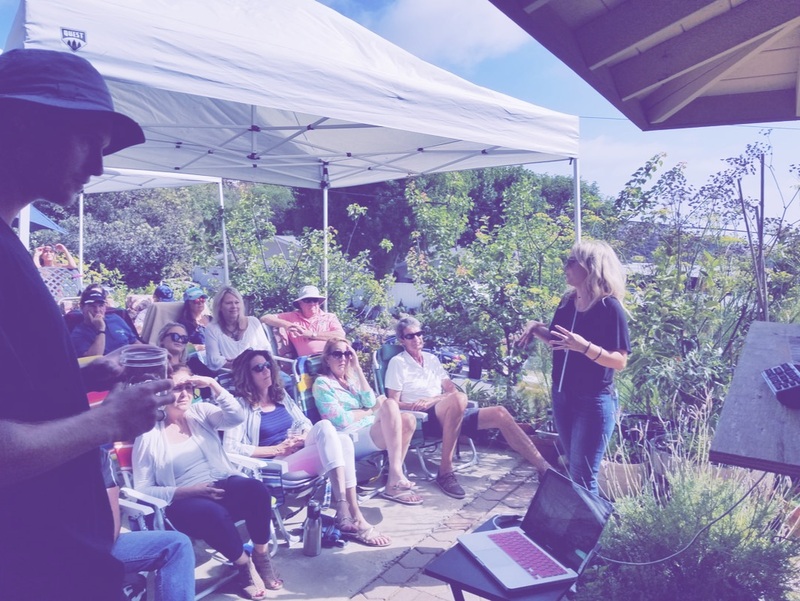 Join us for a gathering full of Seeds and Conversation at the About and For Sustainability homestead in San Clemente. This is a free hands-on workshop, demonstrating how to properly start heirloom seedlings for the upcoming growing season. We will engage in conversation about seed saving, seasonal seed starting, general ecological home gardening and food growing, and ways we can all engage to create a regenerative and sustainable future for San Clemente and beyond. Participants will take home a free seedling start to plant in their gardens.